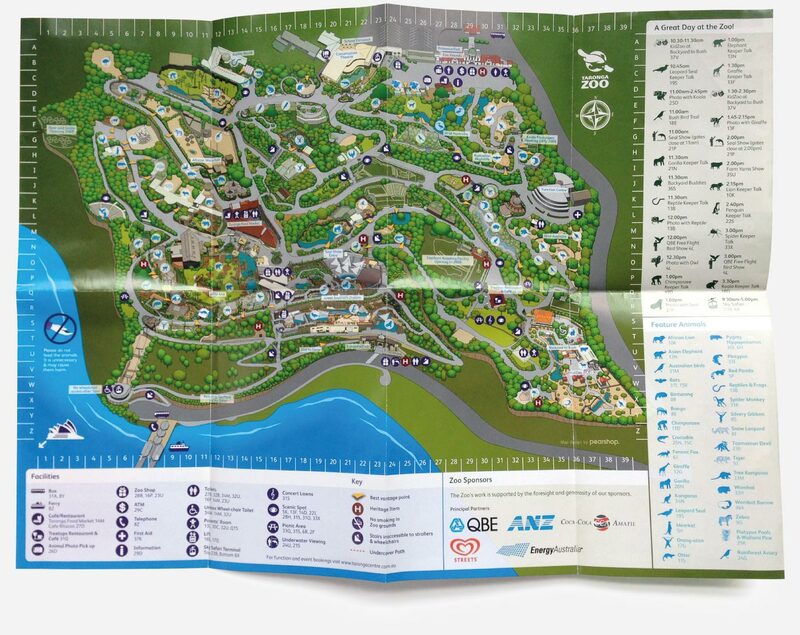 This map was commissioned in response to visitor feedback indicating that over fifty percent of visitors had difficulty using the old map. 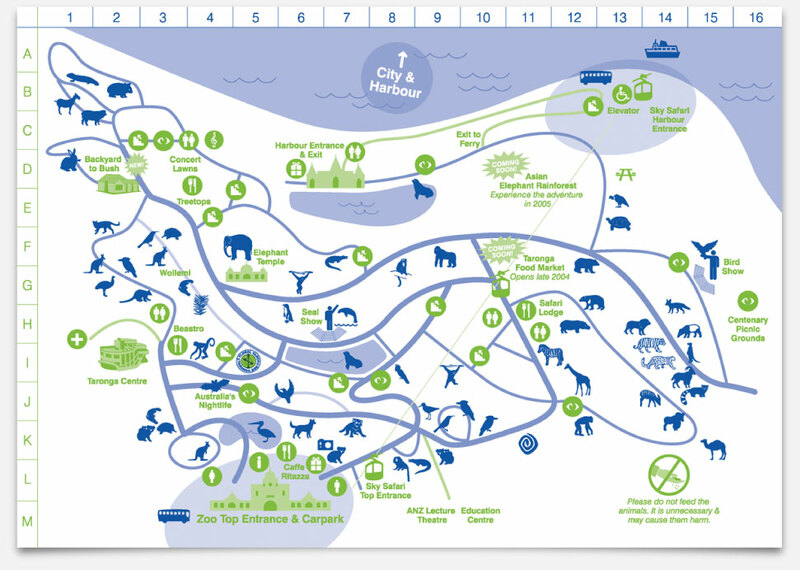 This version of the map increased visitor satisfaction rates to ninety eight percent. 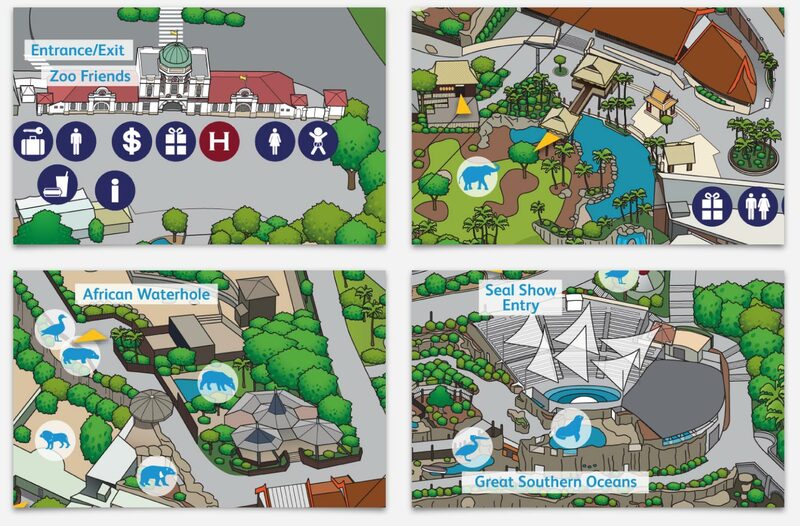 The approach was to use sufficient detail that landmarks were easily identifiable while enabling the Zoo’s in-house design team to easily update the map with changes to exhibits and attractions.